Will you be watching Jodie this afternoon at 3 pm, live from Anaheim California, U.S.A. on Create and Craft TV ? 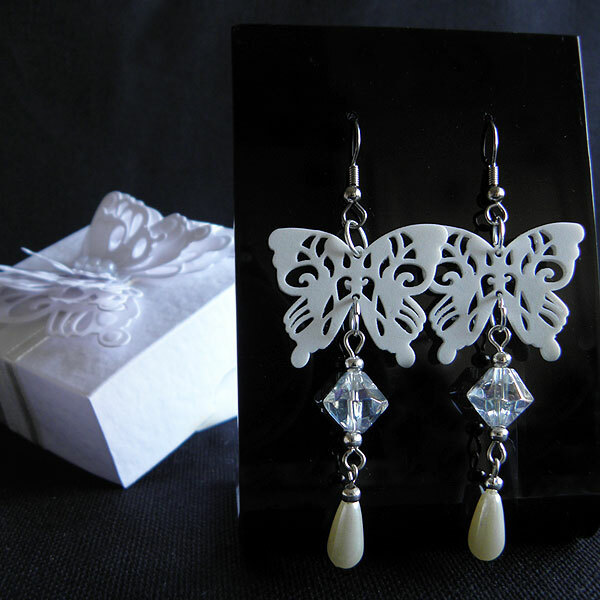 If so, you might catch a glimpse of these earrings and box I made with the gorgeous new butterfly layering dies. 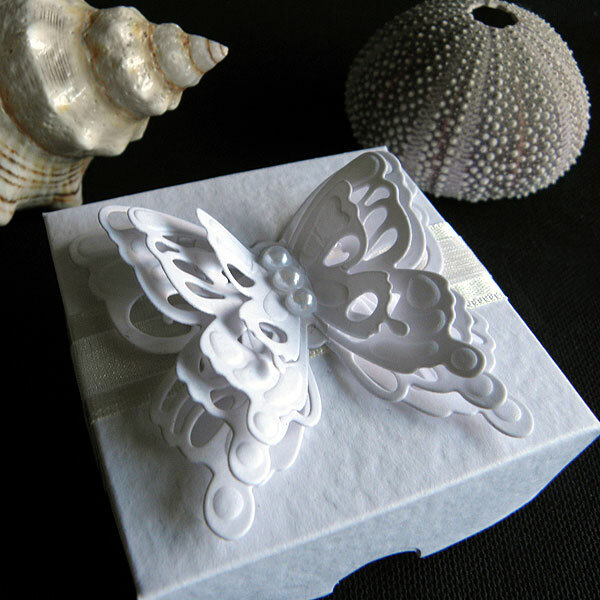 The butterflies are perfect for embellishing little gift boxes. I made three pairs of earrings and coordinating boxes, so I will show you the others soon. The earring butterflies were die cut from shrink plastic. I punched the holes in the butterflies for the jump ring fittings before shrinking. HANDY HINT -When using a detailed design with shrink plastic always heat in the oven as opposed to using a heat gun. A heat gun will just curl up your plastic and you might end up with a twisty mess, but the oven will heat more evenly. As soon as your design is out the oven, press flat between a couple of table mats, or old books. Wouldn't these be lovely for a bride? Hope you enjoy the show today.